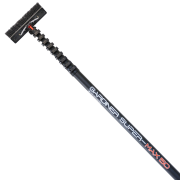 Replacing traditional window cleaning in the late 90’s water-fed pole window cleaning using purified water has proven to be not only a safer means to clean windows, but also a far more effective one. 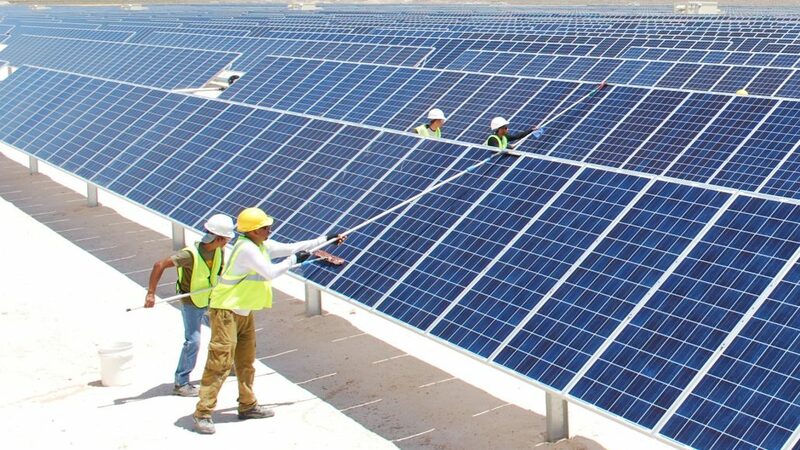 Did you know that you could be loosing from 5 – 50% of your panels efficiency if you fail to keep them clean! If you have taken the time and expense to invest in solar panels then let Stayclean take care of the cleaning of them so that you can maximise your investment. There is nothing more unsightly than discoloured render or hard surfaces. Softwashing is an effective means of killing red, green and black algae that is the cause of most of the discolouration on render. 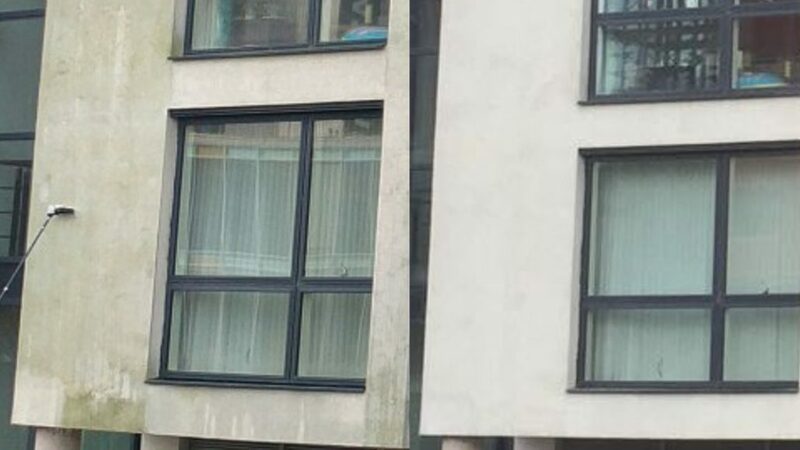 Not only does softwashing restore the look of your building but it keeps algae away for much longer than other cleaning methods such as jet washing. 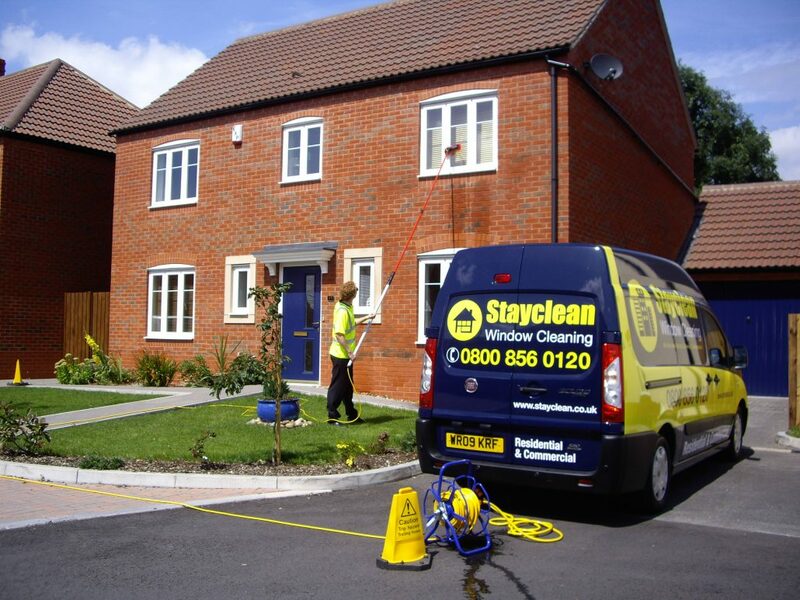 Stayclean Window Cleaners have been residential window cleaners in Bristol for over 22 years and as a result we have the experience to provide you with a residential window cleaning service that other window cleaners in Bristol will struggle to provide. 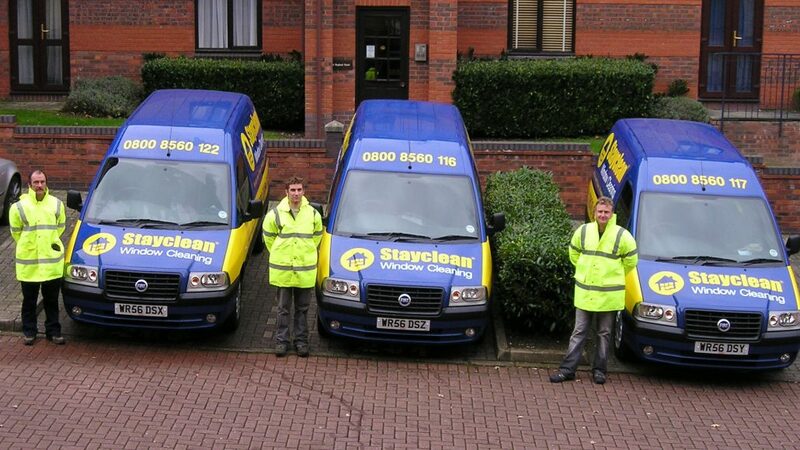 We are experts in all manner of window cleaning. 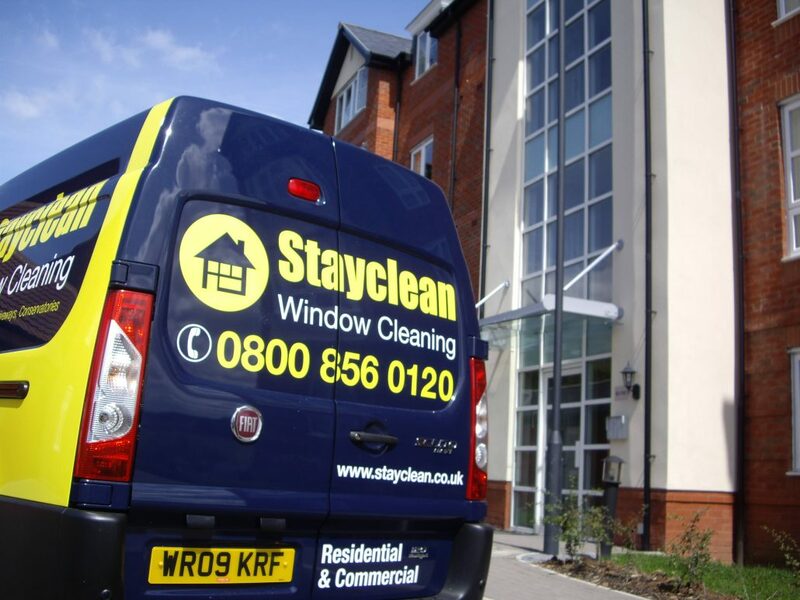 Stayclean have a portfolio of clients that undoubtedly show we are one of Bristol’s most competent window cleaning companies. Our vans are a common site in Bristol city, it may well be as a result of seeing one that you are reading this now! Although we do offer limited other services we don’t claim to be anything other than window cleaners first and foremost.We specialise solely on window cleaning and can therefore concentrate on providing the very best window cleaning service for you.